Flower is a minimalist design featuring a close-up view of a cluster of flowers, but made like a photo-negative so the background is black and the flowers are transparent (showing the metal surface.) 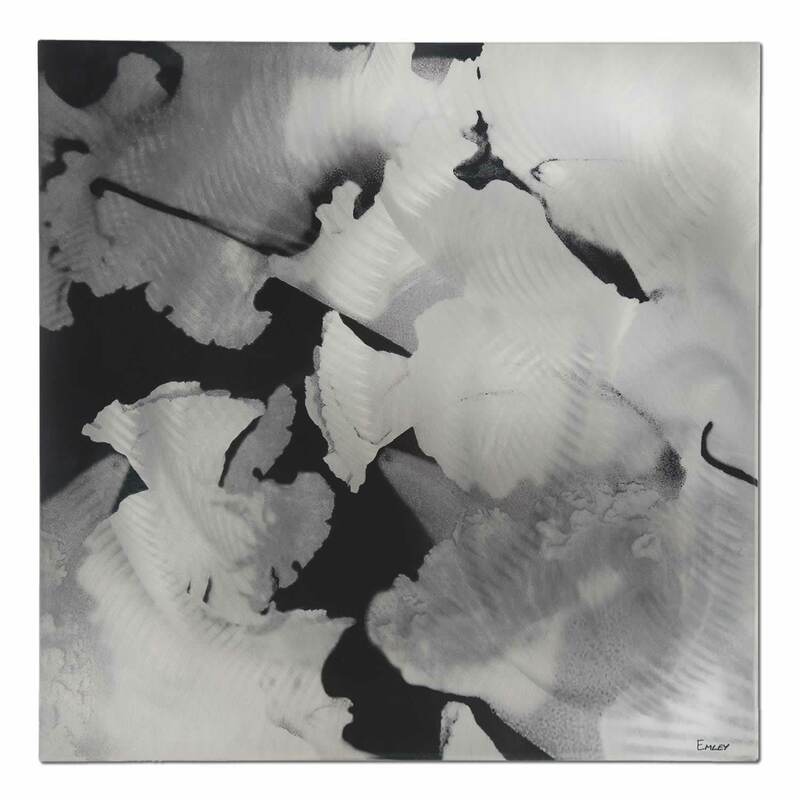 The contrast between the metal and the black print creates a three-dimensional illusion that gives life to the elements of the piece from the flat surface. This creative concept makes for a spectacular monochromatic design, which works great in modern spaces needing some structure and consistency with black and/or white tones. You will have to pull in accent colors elsewhere, but this clean metal wall art is a great piece to encourage a sleek, contemporary environment.